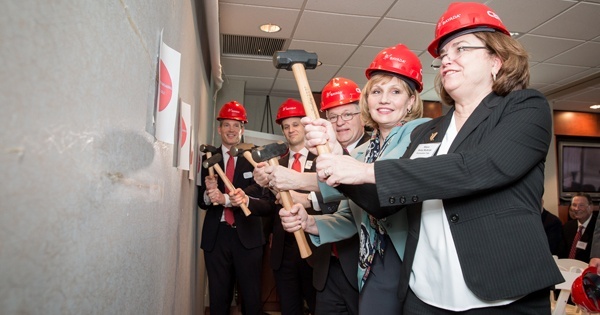 Getting ready to symbolically begin renovations of BAYADA's new buildings are, (from left to right) BAYADA Chief Financial and Administrative Officer Tom Sibson, BAYADA Practice President David Baiada, BAYADA President and Founder Mark Baiada, NJ Lieutenant Governor Kim Guadagno, and Pennsauken, NJ Mayor Betsy McBride. BAYADA Home Health Care, a national provider of home health care services to children, adults, and seniors from more than 310 offices in 22 states, recently hosted a ceremony to mark the start of renovations on its new office space at 4300 and 4350 Haddonfield Road in Pennsauken, NJ. Lieutenant Governor Kim Guadagno served as keynote speaker at the ceremony, which also featured U.S. Congressman Donald Norcross's District Director Mary Cruz, Pennsauken Township Mayor Betsy McBride, and BAYADA President and Founder Mark Baiada. 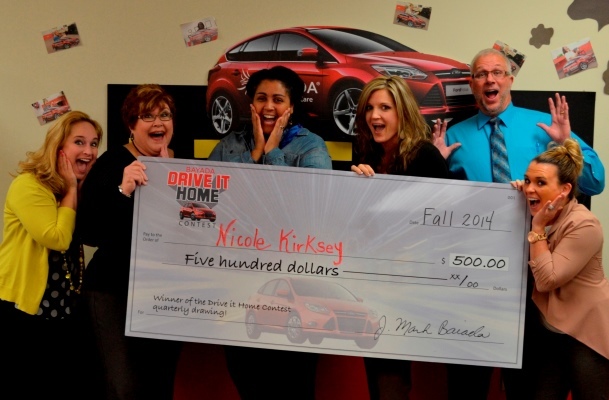 Rutherfordton, N.C., resident Nicole Kirksey was recently named the third of four quarterly $500 winners in the BAYADA Drive it Home Contest, a yearlong nursing career referral campaign to recruit high-quality home care nurses throughout Georgia, North Carolina, and South Carolina. 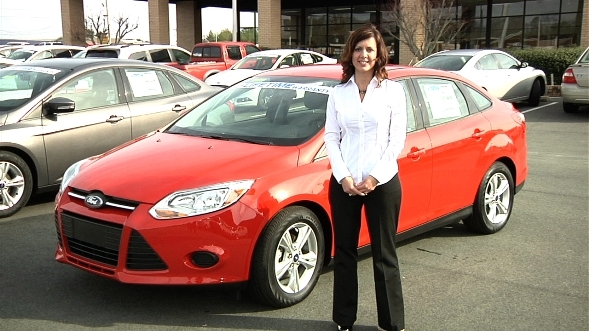 A grand-prize 2014 Ford Focus will go to a randomly selected entrant in January. 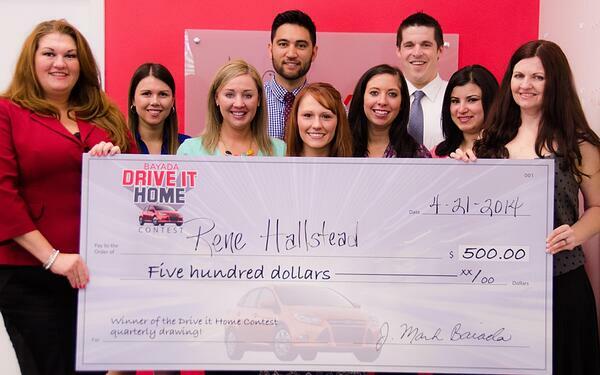 Lowell, N.C., resident Rene Hallstead was recently named the first of four $500 winners in the BAYADA Drive it Home Contest, a yearlong referral-based campaign to recruit high-quality nurses throughout Georgia, North Carolina, and South Carolina. Refer a Nurse to BAYADA and Win $500! This contest is completed. Thank you to everyone who participated. On March 31 2014, BAYADA Home Health Care in Georgia, North Carolina, and South Carolina will give away $500 to one lucky winner who recommends a nurse to the home health care agency. It’s all a part of the year-long Drive it Home Contest. Contestants who refer a nurse can earn entries into the quarterly drawing for the cash prize of $500 and for the grand prize of a brand new 2014 Ford Focus! Win a 2014 Ford Focus! The BAYADA Home Health Care offices in Georgia, North Carolina, and South Carolina announce the new Drive it Home Contest, in which one lucky winner will drive home in a brand new 2014 Ford Focus. The contest, which is open to the general public, kicked off on January 6 and runs through December 31, 2014, with the winner being announced on January 2, 2015. 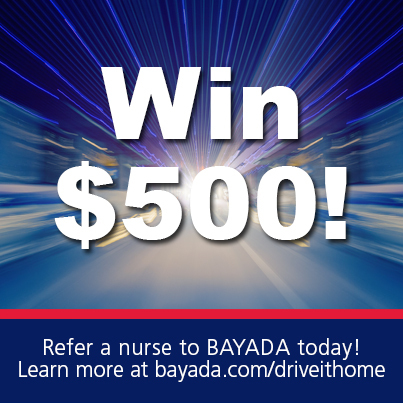 Contestants can earn entries toward the grand prize every time they refer a nurse to BAYADA by visiting www.bayada.com/driveithome.